Next meeting: July 16th at 6:00pm. It will be held at Fullsail building 3 room 125. 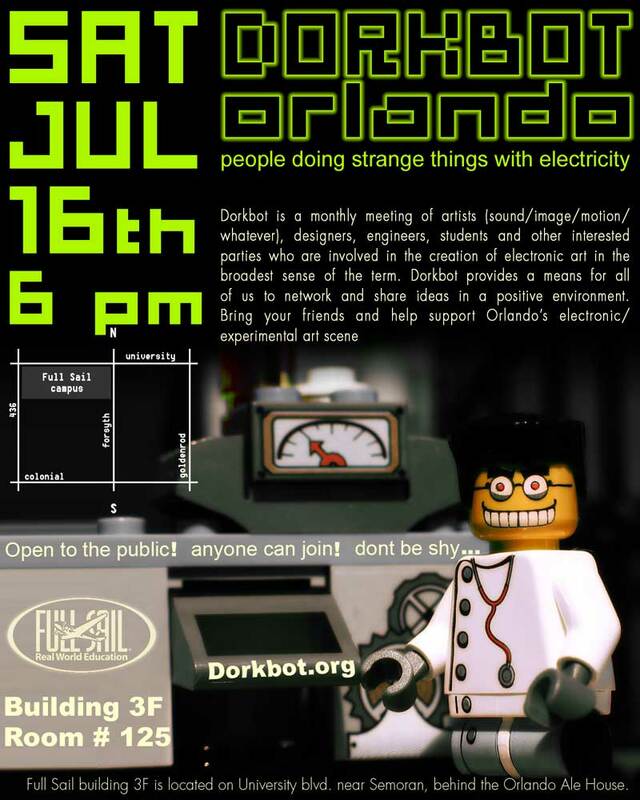 If you have any questions or need directions email us at dorkbotorlando@dorkbot.org or go over to the forum.